Resumes come in all shapes and sizes. Few resumes are great, with most falling somewhere between being okay and being a jumbled mess. Conduct an internet search on how to write a resume and you will see thousands upon thousands of pages with varying advice, which is terribly overwhelming and can leave you bewildered. The difficulty lies not on finding the information for writing a great resume but finding the most credible sources that produces results. I have been creating resumes for nearly 20 years and the success of my business is entirely based on writing effective resumes that generate interviews. 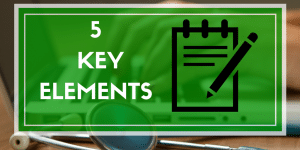 What follows is the five key elements of a great resume that will produce results assuming your job search strategy is sound. 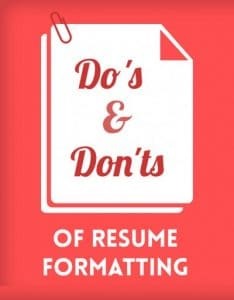 I’m not referring to one of the five general resume formats (chronological, functional, combined, skills, performance), rather, proper formatting means that your resume is optimized for applicant tracking systems (ATS) and reads well. Companies use ATS to manage job applications and store information that candidates input into the system, which helps recruiters sort through the thousands of resumes to find the most qualified candidates for the designated position. When optimizing resumes for ATS, you must ensure a few variables. First, it’s best to use simple formatting and not predefined resume templates that may present problems. Second, never use headers/footers for your contact information because it may appear blank on the employers’ end. Third, avoid using tables, graphics, colors, fancy fonts, borders, and accented words. Finally, be sure your resume has 100% accurate spelling since many ATS will not recognize misspelled words and it makes you look unprofessional. In addition to optimizing your resume correctly for ATS, you must ensure that it reads well when a recruiter reviews it. Your layout should be easy to read and logical. Three things all resumes must have are 100% accurate spelling, proper grammar, and consistency throughout. 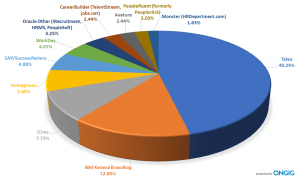 Having a keyword rich resume means that it will pull up in the ATS for the targeted positions. The easiest way to optimize your resume for ATS is to include the most relevant keywords (which are listed as “required” or often repeated in the description) that are applicable to the specific job description. 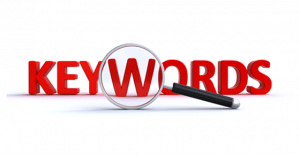 Including keywords as a list will work but the most effective way is to incorporate how you’ve utilized the relevant keywords in your experience. For example, if “organization” is a required keyword, you can include in your resume summary something like, “extensive history of organizing and executing large-scale global events” versus just listing the keyword. In an ideal scenario, your background would be in one area (i.e. 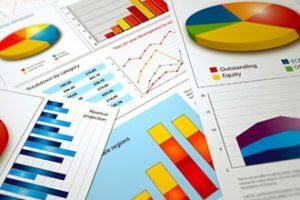 finance) with a history of progressive roles where the keywords for the various jobs descriptions will be very similar. However, many people have dynamic backgrounds and may have worked in a variety of roles. 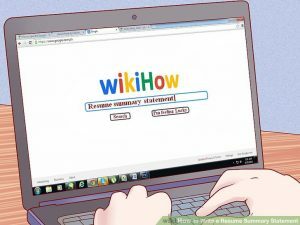 In this case, you could attempt to customize each resume for the specific position being applied using the language for the job descriptions, but this can be cumbersome and very time consuming. A more manageable option is to develop a single resume, rich with keywords, by breaking down various job descriptions and customizing the cover letter for each job using the verbiage from the job descriptions. All great resumes will have a resume summary, which is a brief summary of who you are and the value that you can bring to an organization. 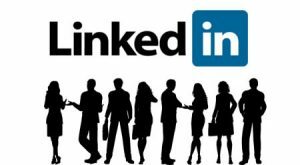 LinkedIn (2017) conducted a detailed study of hiring managers and discovered that the average recruiter spends only 6-seconds reviewing a resume, which means that your resume summary may be the only thing a recruiter reads. Failing to include a resume summary or listing the antiquated “objective” will severely undermine your chances for an interview. Your resume summary is your elevator speech, which is a very brief “commercial” of who you are and how you can benefit an organization. The resume summary is essentially a condensed version of the “Tell Me About Yourself Question.” Make sure that you include relevant and specific information that showcases who you are without being too generic. A great resume summary will include who you are, what you’ve done, what value you bring, and what your strengths are. Assuming your resume is properly formatted for ATS and a recruiter reads it, the most important thing (presuming you’re qualified) is to clearly showcase the value you bring. Your resume is your ambassador and speaks on your behalf, so it needs to “sell” you. Distinguish yourself from the masses of applicants that just include their job responsibilities by incorporating specific achievements that directly impact the company/department you work for. In the world today (2018) where companies are spending billions of dollars to try and automate jobs, you must clearly showcase why you’re better than the job description. 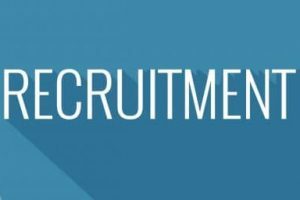 The best way to differentiate yourself from the masses of applicants is to quantitatively and/or qualitatively identify the value added for each position or bullet listed. For example, you may work in IT and listed “Review daily backups by engineering a nightly backup routine, which collects and emails administrator’s back-up logs for daily review.” However, knowing the results of your efforts, you refined this bullet to read “Generated a 75%+ reduction in the total time to review daily backups by engineering a nightly backup routine, which collects and emails administrator’s back-up logs for daily review.” The refined bullet clearly identifies the value for your efforts and is distinctively stronger. Think of your resume as a marketing document that is designed to “sell” you to prospective employers rather than a laundry list of job descriptions. Your resume must quickly demonstrate your value in the 6-seconds that the average recruiter will spend reading it. Understanding and identifying the value you’ve added is what will separate you from the other candidates who simply execute/implement processes with no cognizance of how it really impacts the company. 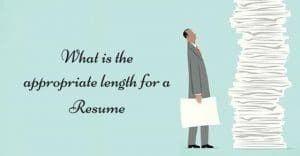 How long should your resume be? An often-cited source taken from an ERE Survey (2013), discovered that the average job opening attracts 250 resumes. 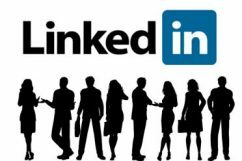 This data along with the research from LinkedIn (2017) revealing that recruiters spend an average of just 6-seconds scanning a resume before deciding to call the candidate in for an interview, necessitates that resumes must be short and sweet. A resume that is more than two-pages will not get thoroughly reviewed and may be disregarded since it takes too much time to read. Many companies are actually moving towards a one-page format considering that it’s much easier and less time consuming to read. According to the SHRM Human Capital Benchmarking Report (2016), the average cost-per-hire for companies is $4,129. You want to make everything as easy and painless as possible for corporate recruiters, and a four-page document filled with everything you’ve ever done won’t help. Remember, think of your resume as a marketing document or brochure that is designed to get you an interview. A lengthy marketing document filled with a laundry list of job descriptions isn’t nearly as effective as a concise and compelling brochure that clearly advertises your value. It is extremely rare that people include all five key elements in their initial resume. Ensuring your resume includes all five key elements of a great resume will significantly enhance your chances of success in pulling up in companies’ ATS and generating interviews. When sorting through the abundance of online information about writing resumes, remember that the most important consideration is the source of who’s writing that information. Is it an opinion that you read in a blog somewhere, is it a freelance writer who gets paid per word to write on any topic available, or is it a highly credible person/business that stakes their entire professional existence on writing resumes that produce results?